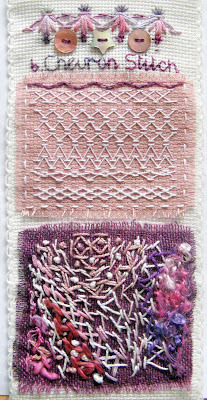 Another piece added to the Band Sampler ... TAST 2007 stitching was in white on 16count pink Aida, and quite flat, so this time I decided to make a textured doodle with various threads. The fabric is loosely woven hand dyed cotton, from Stef Francis. a lovely silk six strand from somewhere, a variety bag,and a ball of wool from a Pound shop. 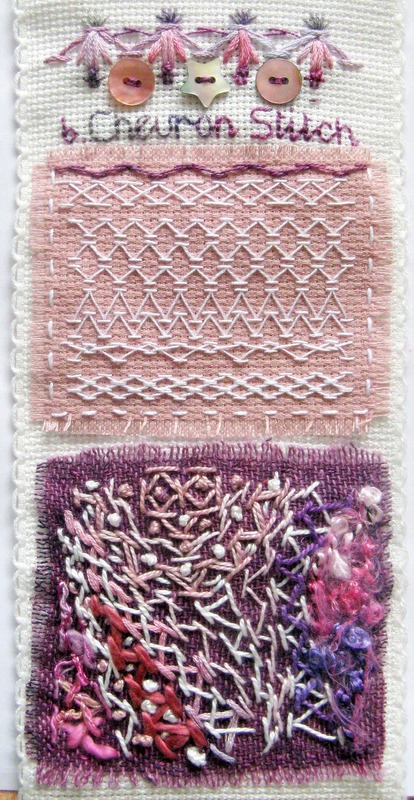 I enjoyed wandering around with needle and thread, even though this stitch isn't a favourite! Love your freestyle Chevron sampler! Both samples are beautiful but I am rather fond of your dark side. 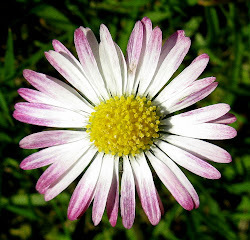 It is my favourite too- though you may not believe it seeing all the counted stitches I do - LOL, Connie. Love the colours you've used Connie, such detailed work. I love the contrast between the tidy top half and the free for all bottom half. I like the difference in presentation - the precision of the sampler you did in 2007 to the appeared-randomness of the sampler you did this year. Shows a lot of creativity and diversity in the work you do!